There are manyÂ best places to retire in Florida that it has always been a popular retirement destination. It provides perks, such as property tax exemptions, to those planning to retire in Florida. The sunny weather and the proximity to the sea are enough to attract not only tourists to the Sunshine state, but also retirees from all over the country, and even foreign nationals. This is a fairly new retirement location if Florida. 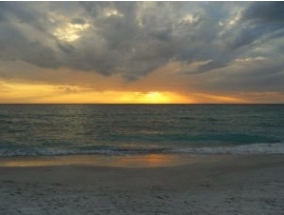 Bonita Springs is located in between Ft. Myers and Naples. This was previously a fishing village. Bonita Springs offers a small town feel, a far cry from the hustle and bustle of a busy city. For your other needs you can go to the nearby cities to get them. For those retiring on a budget, Englewood is the place to go to in Florida. Located on the Gulf of Mexico, because of its affordability it has been a popular retirement destination for those coming from the Midwest. Artists enjoy retiring here because Englewood has a large artistsâ€™ community. If want to retire near the sea then Fernandina Beach which is one of the best places to retire in Florida as the waters of the Atlantic wash up on its shores. Unlike most beaches in Florida which are packed with tourists, the shores of Fernandina Beach are more private so you can truly relax and enjoy the waves. This place is a great retirement location for nature lovers. This is another one of the fishing communities in Florida. What makes Fort Pierce one of the best places to retire in Florida is the fact that the cost of real estate here is fairly stable and lower than other areas in the state. The cost of a beachfront house is considerably lower here than in other parts of Florida. Florida is not just about the surf and the sea. Even inland towns like Live Oak can be one of the best places to retire in Florida. However, you can still go scuba diving with the Suwannee river close by. You can even do other outdoor activities like biking or growing your own garden and the coast is only a short drive away. This is another small town by the Gulf coast, situated in between Apalachicola and Panama. If you are looking for some peaceful, quiet living you will definitely find it here. The shores here are truly beautiful, making it a great place to retire to. Ocala is another town located inland. Here, you will enjoy horseback riding as there are horse farms and rolling hills everywhere. Retirement communities are found in the outskirts of this town and it has been a popular retirement destination. This place is very popular among retirees. The weather is great and the housing options are reasonably priced. There are many lovely homes to choose from. This place makes for a picturesque retirement. Moreover, this place is close to other bigger cities making it easy to access any amenities not found in Saint Petersburg. Small towns are a retirement favorite and Tarpon Springs is just one of many that is considered to be among the best places to retire in Florida. Waterfront homes are really popular among those who are planning to retire here. This town has a strong Greek influence that influences the shops and restaurants, making it stand out from other small towns in Florida. This is another town for those who have the soul of an artist. Vero Beach is one of the best places to retire in Florida where the communities have a passion for the arts. The beaches here are lovely. You could settle in the beach area or in the inland area where the cost of housing is more reasonable.